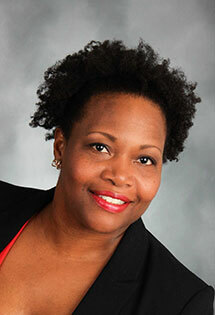 Dr. Raquel Farmer-Hinton is an Associate Professor in the Department of Educational Policy and Community Studies. She is a scholar of urban education and, for over 20 years, she has conducted research on urban policies, schools and communities. Noteworthy projects include investigations related to a) college-going cultures in urban high schools, b) social capital toward college planning for urban students, c) best practices used in non-selective college preparatory schools, and d) the role of promise scholarship programs toward college planning. Raised and educated in East St. Louis, Illinois, she has also worked with three fellow scholars, also reared in East St. Louis, on a response to Kozol’s (1991) Savage Inequalities utilizing Yosso’s (2005) Community Cultural Wealth model (Teachers College Record, 2013). Since becoming a faculty member, Dr. Hinton has authored or co-authored publications using both qualitative and quantitative methods. Further, Dr. Hinton has received research awards and/or served as the principal investigator on grants from the American Educational Research Association, Educational Testing Service, University of Wisconsin-Milwaukee, and the University of Wisconsin Institute on Race and Ethnicity. As a university professor, Dr. Hinton teaches graduate and undergraduate courses on research methods, sociology of education, urban education, and cultural foundations of education (online and face-to-face). At UWM, she coordinates the Alternative Education Certificate Program. She also serves as Co-Chair of the Steering Committee of The UChicago Consortium on Chicago School Research. Dr. Hinton received her B.S. in Psychology, and her M.S. and Ph.D. in Educational Policy Studies from the University of Illinois at Urbana-Champaign. She previously held positions as a Spencer Postdoctoral Research Fellow at the University of Chicago, a postdoctoral research fellow at the Educational Testing Service in Princeton, New Jersey, and a research associate at Westat in Rockville, Maryland. Farmer-Hinton, R. & Rifelj, K. (2018). Clearing clogs in the pipeline: College readiness for all in Chicago and Milwaukee. In B. Smerdon, K. Kim, and C. Alfed (Eds.) College and Career Readiness and Success: What Do We Know and How Do We Measure It? Charlotte, NC: Information Age Publishing. Bonds, M., Sandy, M. and Farmer-Hinton, R. (2013). The rise and fall of a voluntary public school integration transportation program: A case study of Milwaukee's 220 Program. Education and Urban Society, 47(6), 623-645. https://doi.org/10.1177/0013124513497504. Farmer-Hinton, R. (2012). Going to college: Students' perceptions of postsecondary preparation and planning in an urban, non-selective college preparatory charter high school. In W. T. Pink (Ed.) Schools and Marginalized Youth: An International Perspective (pp. 411-444). Creskill, NJ: Hampton Press, Inc.
Farmer-Hinton, R. (2011). Service and scholarship: How opportunities to “give back” foster culturally responsive and respectful research projects. In Scott, K. and Blanchett, W. (Eds) Research in Urban Educational Settings: Lessons Learned and Implications for Future Practice. Charlotte, NC: Information Age Publishing.